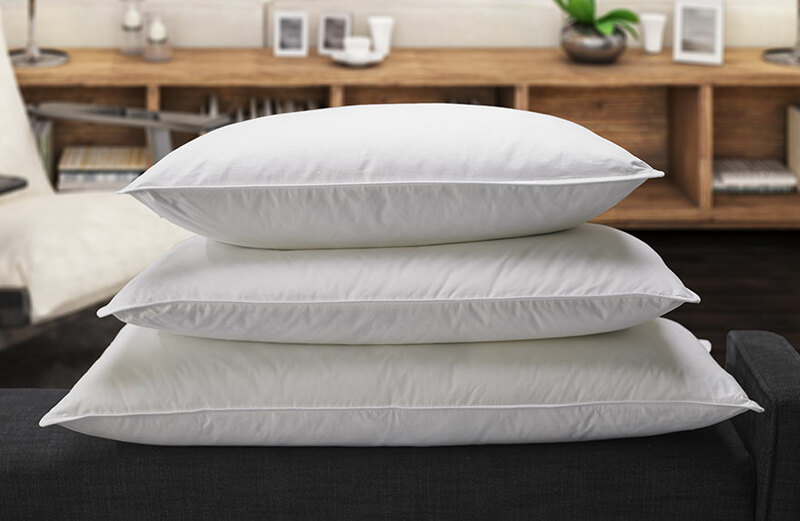 Add a little pop of color and style to your Fairfield bed or home décor with our throw pillow. 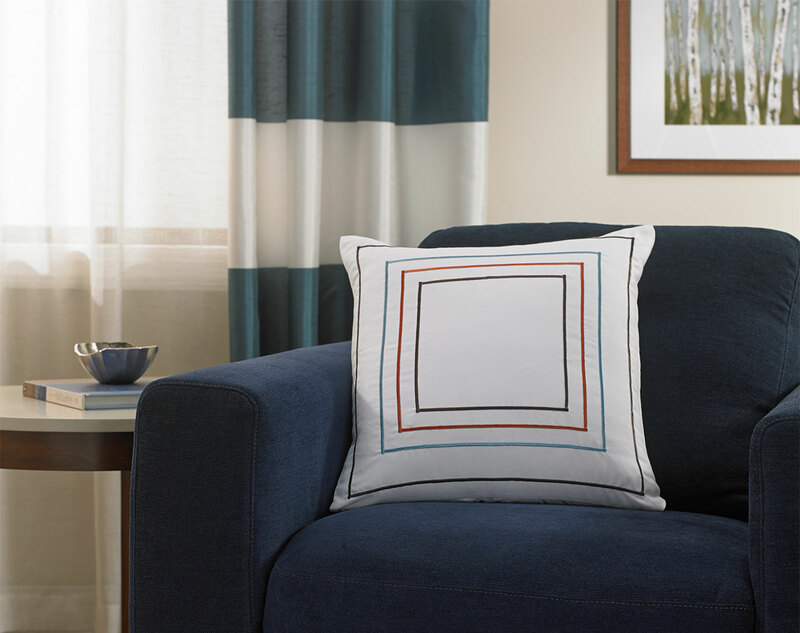 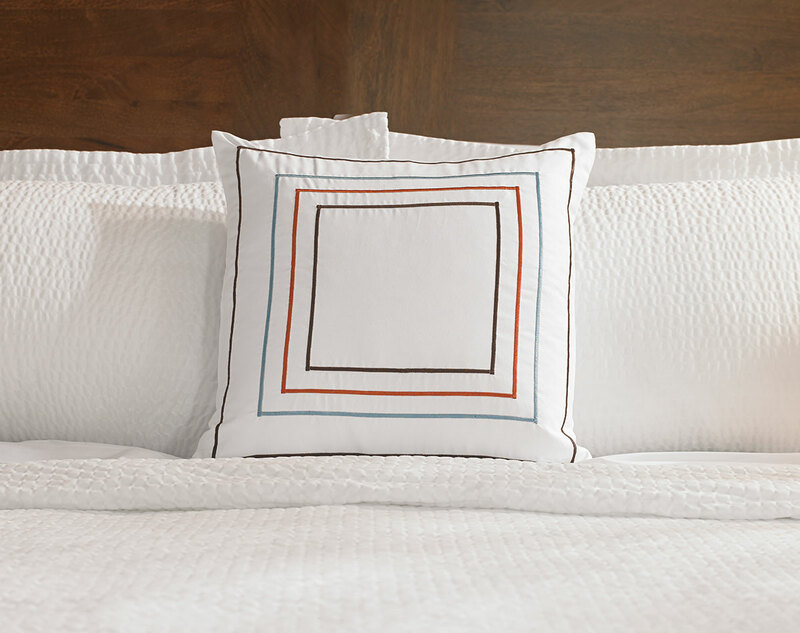 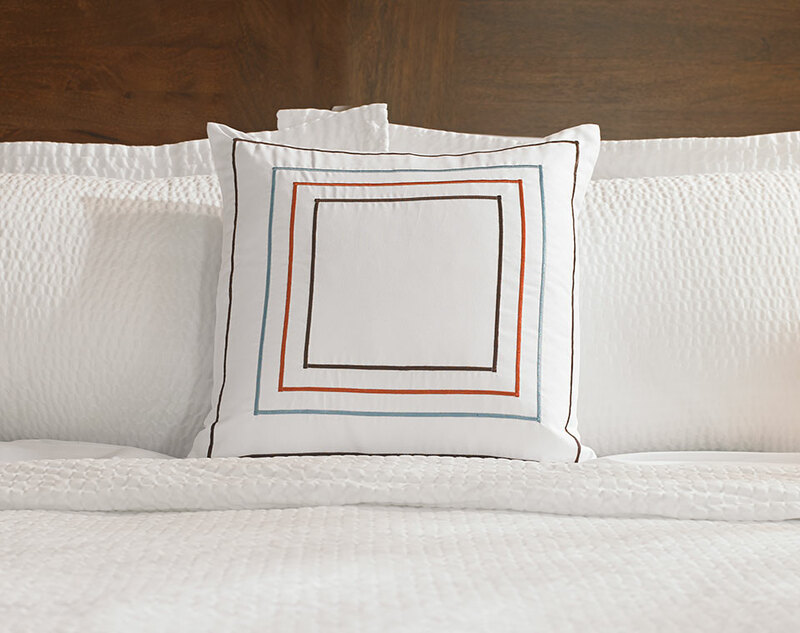 Square and plush, our Orange & Blue Frames Throw Pillow features a focused embroidered design orange, blue and brown graduating squares. 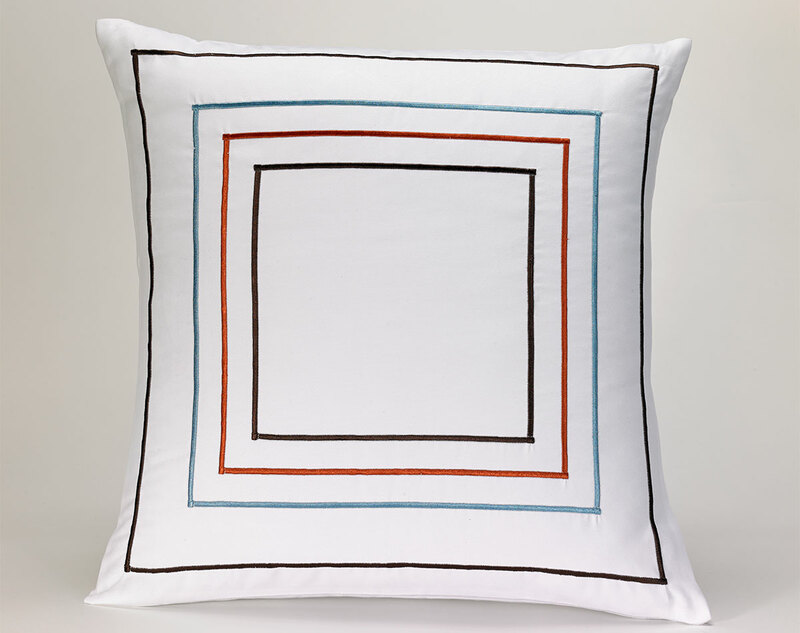 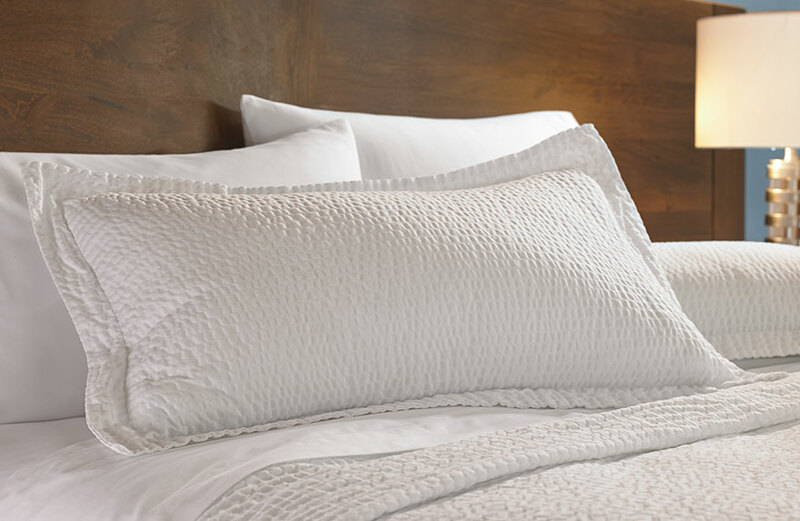 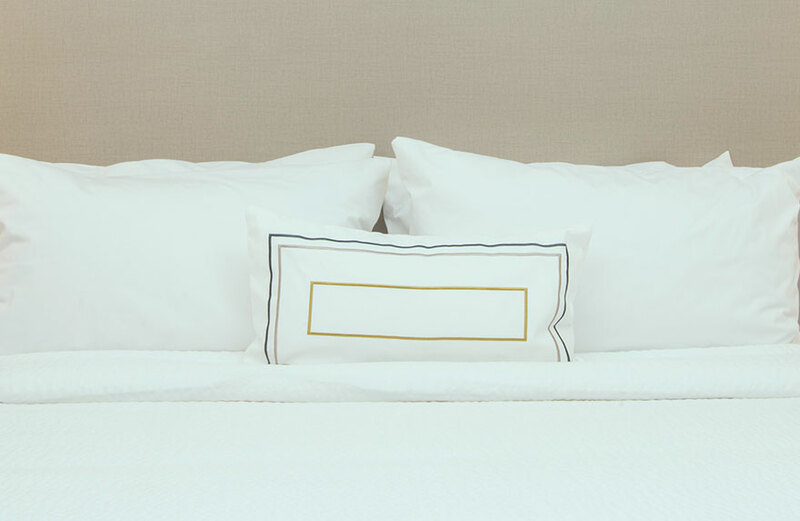 Pair with our Frames Grey Throw Pillow and textured linens for a refined, cohesive look.